Building on her successful twenty-year career in research science, Pamela Ann Lewis founded Pam Lewis & Associates, a scientific research and product development services company. As president and formulation research scientist, she consults with pharmaceutical, biotechnology and well-care companies to discover and develop novel skin care formulations. Prior to forming her company, Ms. Lewis worked as a research scientist for DPT Laboratories in San Antonio, where she developed various semi-solid and liquid dosage forms. She also worked with the Small Business Innovation Research and Small Business Technology Transfer programs associated with the National Institutes of Health and the U.S. Department of Agriculture. She served as the director of formulations for the Biomedical Development Corporation, where her primary research and formulations were in infection control and topical/transdermal drug delivery systems. Ms. Lewis’ primary interest is semi-solid and liquid dosage innovation. 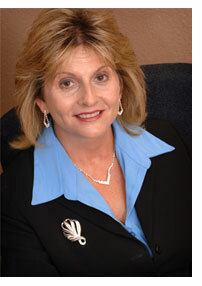 She is known for her formulations in tissue management, infection prevention, skin management and dermatology. Ms. Lewis received her bachelor’s of science degree in biology from the University of Texas at San Antonio in 1993, and her master’s degree in health services management from Webster University in 2000. She is affiliated with the American Association of Pharmaceutical Scientists, the American Chemical Society and the Society of Cosmetic Chemists, Southwest Region.